In the depths of winter there is nothing more refreshing than the tangy taste of a lemon. This goes for the entire citrus family. Their beautiful colors and flavors are the sunlight we all crave as the cold months start to set in our bones. 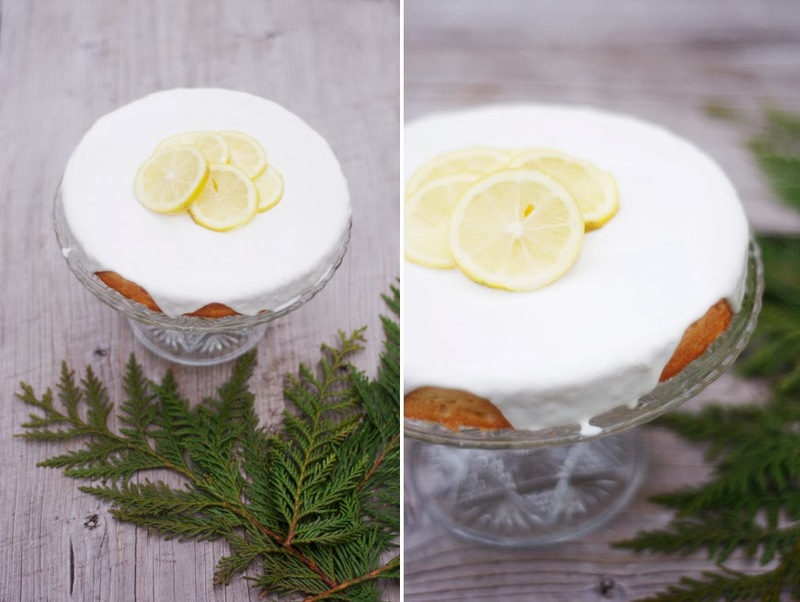 I've noticed that lemon cake is one of those things that people either love or hate. 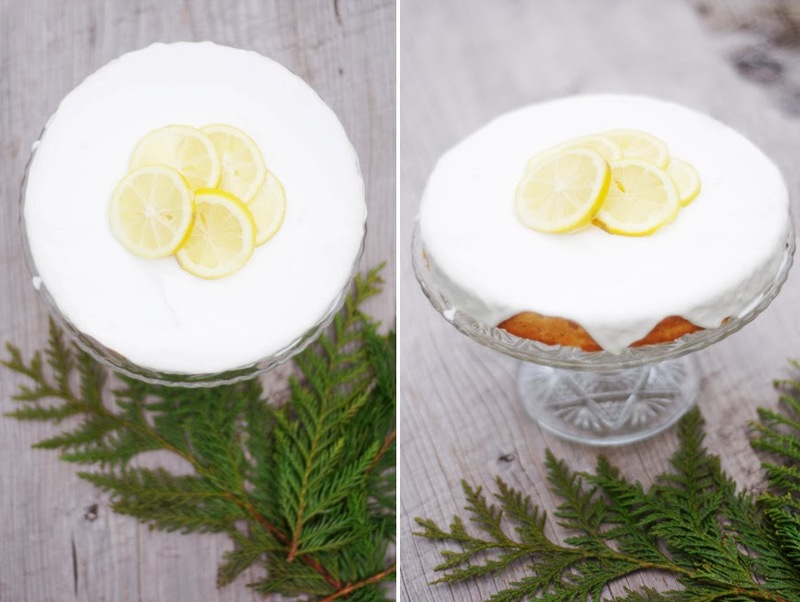 I worked at a cupcake shop (Hello, Cupcake in downtown Tacoma) for years and one of our most loved and yet hated flavor was the lemon cupcake with lemon buttercream frosting. To me, it looked beautifully refreshing and yellow and so it was one of my favorites. I feel like I am constantly repeating this, but I do not like frosting. I whip some up whenever I bake a cake that seems to need it (aesthetically speaking) and I'll taste it and appreciate the effort I put in to make it flavorful and not as grotesquely sweet as usual, but I still do not care for the stuff. So I tend to scrape it off. Whenever I'm going for a less traditional cake, I try to shoot for an alternative, like whipped cream or in the case of this cake, sour cream. • On a medium speed, beat the butter and sugar until light and fluffy (that's 3-4 minutes). Beat in the vanilla extract and then eggs, one at a time, beating well between each addition. • In a separate bowl sift the dry ingredients together (including the lemon zest). Add this mixture to the one above, alternating with the lemon juice. • Pour the batter into your prepared pan and bake at 350º for about 20 minutes (depending on your pan). 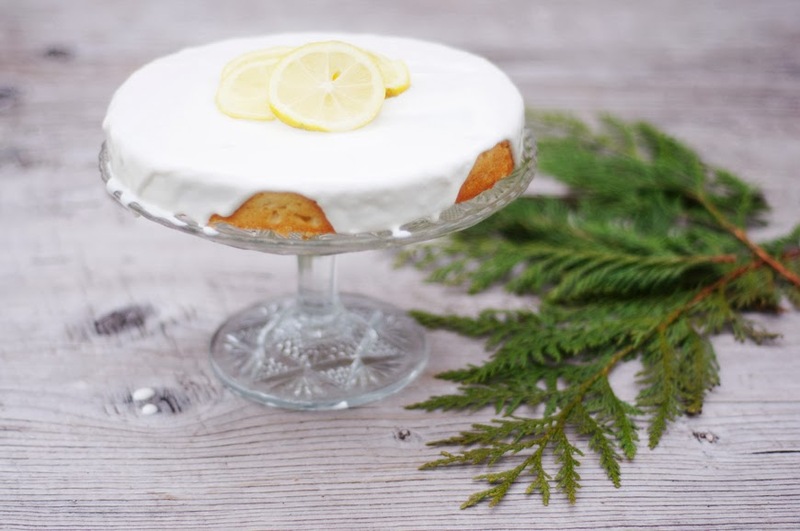 • While your cake is cooking, whisk together the sour cream, sugar and lemon juice. Set aside to cover your cake once it has thoroughly cooled.